While researching the material for this essay, I brought out my travel map to orientate myself; to bring the province of Hunan into a context of personal memory. I thought that I had never been to Hunan and wanted to see which of my previous China destinations were placed closest to where the history I was reading about had occurred. What I discovered is that I had actually been to the province of Hunan during my last trip to China in 2013. 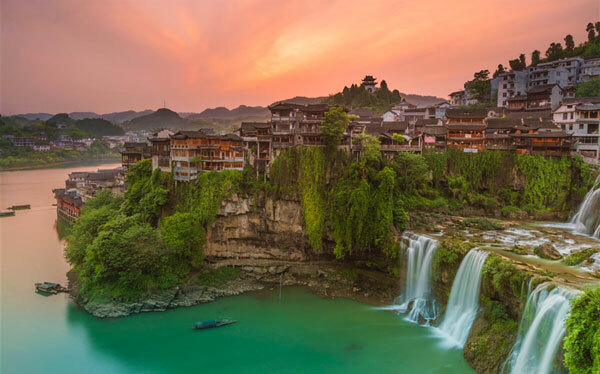 Hunan had not been one of my destinations, in and of itself, that year; rather, it was on my route from Wuhan, Hubei to Chongqing, Sichuan as I cruised along the Yangtze River. In tracing the course of my river cruise, I realised that it had crossed the thin line of demarcation from Hubei, into Hunan, before following the river’s contorted route back north to Hubei as it continued on its westward journey. The Yangtze River flows, of its own accord, from west to east through 9 of China’s provinces: Qinghai, Tibet, Sichuan, Yunnan, Hubei, Hunan, Jiangxi, Anhui, Jiangsu, meeting the city of Shanghai before emptying into the East China Sea. I had been coursing the river traveling upstream, through the karst mountains, disembarking several times a day to walk where so many had walked before me, to see what so many had seen before me, to feel the wonder of the journey which had once been so dangerous for those who had dared to make the trip before the Yichang Dam had tamed the waters. The Han had good fortune to have migrated to the region of Hunan (named “Huguang” when both Hunan and Hubei fell within its common borders). The Qing separated the two regions into different governing provinces in 1723; giving Hunan and Hubei their current names of distinction. Dividing these two regions made a certain amount of sense. 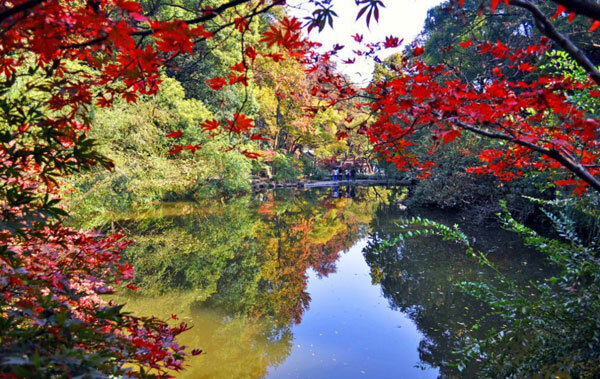 Hunan seems to be a natural geographical entity unto itself. 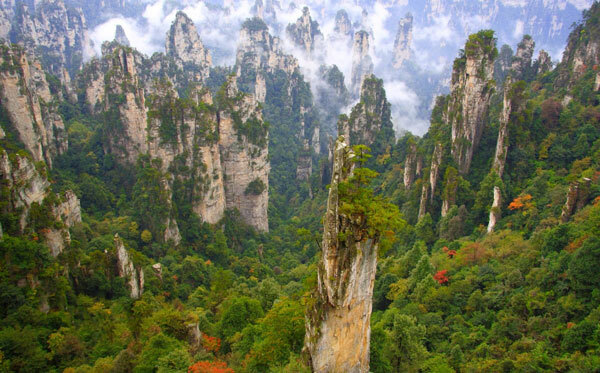 The province is made up of 20% rich lowlands which are surrounded by four mountain ranges: Wuling Mountains to the Northwest, Xuefeng Mountains to the West, Nanling Mountains to the South, and Luoxiao Mountains to the East. The altitudes range from 500 meter in the valleys upward to 2,000 meter at the highest mountain peaks. 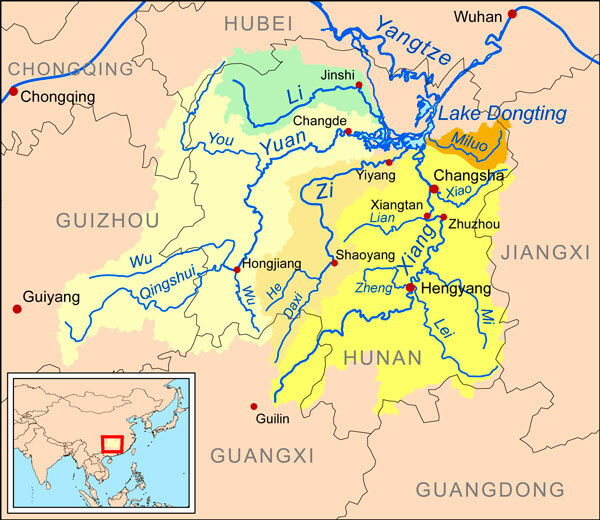 The Hunan rivers: Xiang, Zi, Yuan, and Lishui all converge at Lake Dongting in Northern Hunan and the lake connects to the Yangtze River. The lake, itself, is a great resource, being the second largest freshwater lake in all of China. The climate which supports the region is termed subtropical/humid subtropical. Rainfall is plenty and the soil is rich. Winters are short and mild. Growing seasons are long. All in all, an ideal place for the Hans’ resettlements. Hunan had much to offer. It became an important province because it provided certain advantages to its inhabitants and to the governments which ruled them. 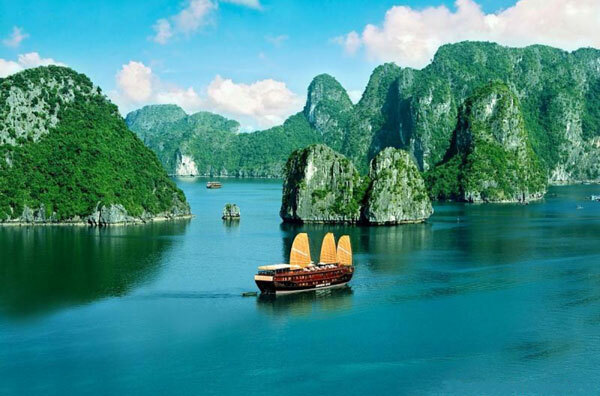 Hunan enjoys a central geographical position in relation to both the Yangtze River and to the body of China. Transportation of the abundant rice grown on the valley floors allowed Hunan to become a major source of food for the rest of China. 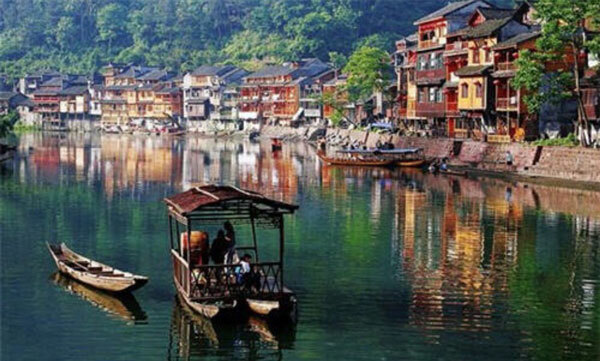 The natural waterways of Hunan were also of value for communications. Information between Southern China and Northern China was vital for the centralized government of the Qing. They needed to be able to send and receive information to Beijing as quickly as possible for the administrative and military purposes of maintaining the empire. The Imperial Highway, passing through Hunan, also connected the north with the south in China by land. But, Hunan had one more major contribution to China which was highly valued. Hunan was renowned for the Yuelu Academy in its capital, Changsha. In this university, Confucian thought was studied and protected for generations to come; the most treasured of all Chinese cultural heritages and the foundation of the imperial examinations. When times were good, they could be very very good for the Han Chinese in Hunan. But, good times often lead to overpopulation and in the 19th century the times were both good and bad. Unfortunately, bad times in China always brought people in motion, migrating as they looked to start their new, more prosperous lives or migrating to take the lives and livelihoods from others. History books record the tendency in China to produce rebellions when population levels reach beyond their means. And the Hunan soon had much to protect themselves against: the Miao Rebellion from 1795-1806, which was soon followed by the Taiping Rebellion as they pushed north from Guangxi in 1850 into Hunan to follow the Yangtze eastward along the river valley. The Hunan would come to resist this Taiping movement of rebellion and ultimately rid itself, and the rest of China, of the Taiping. A Hunan militia army, led by the Hunan native son, Zeng Guofan, would defeat the Taiping at Nanjing in 1864. China would be free of the rebels, but, the Qing ended up paying a price which would eventually cost them the empire. For more than 200 years, the Qing military had been organized around the “Eight Banner” system. It was devised as a social system for the Jurchen which included entire families; with the men having dual roles as both hunters and soldiers for their own unit/banner. The groups were composed of people who had come from the same regions and/or same clans. In this way, the members of a banner had an affinity and a loyalty toward each other. All the banners were divided somewhat along ethnic lines, but all had an overriding loyalty to the Jurchen leader, Nurachi. The system allowed for different levels of allegiance and was intended to eliminate clan rivalries. Each group had its own banner, own color, and own identity within the whole. At first, most of the ethnic groups had been of Manchurian and Mongolian origin. The size of the Eight Banners had eventually become large enough to warrant the creation of separate Mongolian Banners and Han Chinese Banners alongside the original Manchurian Banners. The Qing also had another army in its service. This was the Green Standard Army which was made up of former Ming soldiers who had surrendered to the Qing .“The Green Standard Army so-named after the colour of their battle standards was made up of those Ming troops who had surrendered to the Qing. They maintained their Ming era organization and were led by a mix of Banner and Green Standard officers.” – [Thomas Zimmerman]. The Green Standard Army operated simultaneously with the Manchu-Mongol-Han Eight Banners armies. The Qing used the Green Standard Army as their primary army to control the empire; saving the Banners for emergency situations which required a large and sustained military force. The Qing government was in agreement with the necessity of instituting a regional defense system. The Qing had debts to pay and the Taiping occupied lands were no longer paying taxes. With Zeng Guofan’s plans for a regional force, the Qing was relieved of the expense of protecting itself from the Taiping. Little did the Qing realize that these measures meant letting go of the centralized control they had over the regions where Zeng Guofan would set up his regional Tuan Lian forces. And, as Aki Peritz has pointed out, “When the central government fails, “friendly” militias do the fighting. Since Beijing was unable to effectively fight the Taipings, power effectively flowed down to sub-state militias and “village guards” which performed as localized self-defense units. Zeng Guofan, who in 1853 joined with an anti-Taiping group in Hunan province, commanded the most effective of these militias.” Over the next 10 years, Zeng Guofan, Li Hongzhang, and Zuo Zongtang fought against the Taiping for the Qing. In July 1864, they would re-take China’s Southern Capital, Nanjing, and one hundred thousand Taiping would die in the process. Thomas Zimmerman and Aki Peritz have given us a preliminary introduction to Zeng Guofan in their comments quoted above. Drawing on information from Ulrich Theobald, I can bring us closer to knowing who Zeng Guofan had been, what he had done, and why he has been remembered so vividly by historians and laymen alike in China; be it not without controversy. The other source I draw from for the biographics of Zeng comes from the government site for the province of Hunan, China. Between Theobald and Hunan it must be possible to present a simple portrait of Zeng. As with all things “Chinese” the discussion of Zeng Guofan begins with naming him. Zeng Guofan was a name which Zeng had chosen for himself, as an adult, because he thought it a suitable name for a Confucian scholar. His parents had given him the name, Zeng Zicheng, at his birth in 1811. His courtesy name was designated, Juwu. His stylistic name, Disheng. His posthumous name, Wenzheng. Zeng had also carried the title of Marquis Yiyong 1st class, which was presented to him by the Qing in honor of his achievements. Already, our portrait of Zeng takes on colors and lines which shape the impression of a man who had attained a station in life which few others were to ever reach within the Qing Dynasty. Zeng was a Han Chinese who must have been a very intelligent man; achieving the rank of a Jinshi scholar at a relatively young age. In the Qing era, the road to success in the government bureaucracy was paved in a way which favored the Manchus above all others. Having money and time were beneficial for a life of study to pass the imperial examinations, but, being of “Manchu” ethnicity was an unmistakable advantage for placements thereafter. Zeng managed a long and impressive career within the system of the Qing. He held many positions within both academic institutions as well as administrative. Zeng adhered to the Neo-Confucian concept of the “School of Facts”; stressing the adaptation of the state philosophy of Confucianism to meet the needs of the modern world. When the emperor ordered Zeng to take on the challenge of developing a final solution to the Taiping Rebellion, Zeng suggested not using the Green Standard Army. Instead, he combined his Confucian ideals of structured filiality with the situation at hand and came up with a very practical solution for his task at hand. He saw the opportunity for a military strength formed from the loyalty inherent in having common bonds. To achieve his goals, he began by creating his own bonds of loyalty with the local powers that be. He gained the ear and the trust of the Governor of Hunan and together they laid their plans for a new milita system which was to be founded on the martial insights of Qi Jiguang. The soldiers were to be recruited from the population; organized and led by the gentry. The gentry, in turn, were to be informed and guided by Zeng. This local militia, the “Tuan Lian”, would also form the heart and soul of the regional armies which Zeng and his colleagues brought together to turn the tides of fortune in their favor and destroy the Taiping. 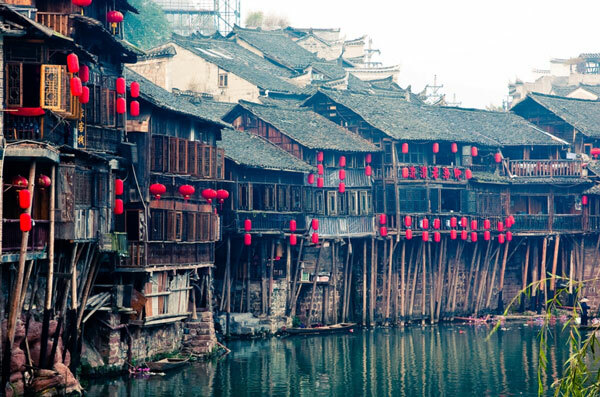 The gentry of Hunan were very receptive to the ideas of Zeng Guofan. They, more than any others, had the most to gain by resisting the rebellion of the Taiping. Their lives and livelihoods stood in the way of the Taiping ambitions. The Taiping, as in all peasant rebellions, needed a constant mobilization of resources. These resources took not only the forms of food and weapons. “People” were the primary resource which needed constant replenishment. The Taiping counted on being able to gather new followers into their fold as they marched and fought across the mountains and plains of China. The Tuan Lian of the countrysides could not control the Taiping forces on their own. What they could do was to put an end to any of the locals joining the Taiping as they moved across Hunan. The elites mobilized peasants at the community level; which supplied a good deal of community formed “social control”. 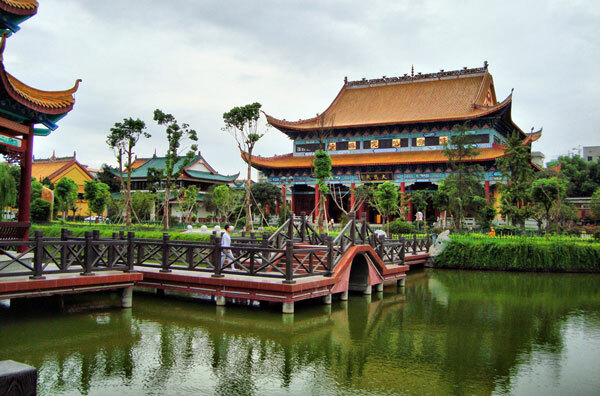 Each family had members in the Tuan Lian, thus, having a vested interest in their support and success. They had enough resources for self-defense against small-scale attacks from rebels. The main functions of the Tuan Lian are to be found in the meaning of the name: translated loosely as “Group Training”. “Tuan” refers to the system of “Baijia”: a populace policing system as a shared group responsibility. “Lian” is the group’s responsibility for collecting and storing weapons and the training of able-bodied persons for self-defense of the group. Inherent within the concept of “Tuan Lian” are the vital components of community control and community mobility. As already mentioned, the gentry of Hunan were the leaders of the Tuan Lian. To a great extent, they financed the Tuan Lian. The Qing paid nothing toward the expenses for the Tuan Lian and the Xiang/Hunan armies. It was very unconventional during the Qing Dynasty to have military forces financed by social means. The means at hand were: donations, forced contributions, commerce tax and land tax. The gentry donated land; 74% of the Tuan Lian leaders were from the landed-gentry class. And, the land tax was the most important source of income for the running of the Tuan Lian organization. The tax was based on: how much land was owned, or, the productivity of the land. The land tax had the advantage of being a very predictable source of income for the militia groups. The forced donations were weighted according to financial capability. The wealthy families paid more than middle class and poor families. The Tuan Lian collected commerce taxes at bridge crossing, on rivers, and along highway trade routes. The taxes came from the pockets of businessmen, barterers, and peasants. The tax was a set % of the worth of the goods on hand. “In sum, the tuan-lian were widespread community defense organizations in rural Hunan. They had elaborate structures and organizational rules. The landed gentry class created the system as a communal organizational response to the peasant rebellions and state breakdown. Tuan-lian were created to mobilize anti revolutionary forces and demobilize potentially rebellious forces. This widespread militia system completely militarized the organizational framework of Hunan rural communities.”- [Baohui Zhan]. The Yongying system was meant to be a temporary measure taken to rid China of the threat of the Taiping Heavenly Kingdom. It was never intended to become a permanent institution within the Qing military. Along with the aforementioned advantages of an extended use of the regional military systems, there was a major drawback in that the system was inherently susceptible to nepotism and friend’s politics. And, the extended use of the Yongying as first-line troops had the end effect of decreasing the power of the central government at a time when China was in real danger of being divided up amongst foreign powers. These factors are all cited in the analysis of the warlord period which began its development in the wake of the Taiping solution. The power accrued by the gentry continued to grow after the original purpose of the Tuan Lian had long come and gone. With the system still in place after the Taiping threat was removed, the gentry found new purposes for the Tuan Lian. The landed gentry used them to collect their rents. Qing law had always forbidden landlords to settle their rent disputes directly. They were required to use an intermediary. But, the increased power of the gentry as the central government removed its own power from the area, encouraged the landed gentry to ignore the law and use the Tuan Lian as their strong arm of persuasion. This became so prevalent that Tuan Lian units competed with each other in collecting drives. Zeng Guofan reported that, “The activities of bureaus are nothing except practicing martial arts and rent collection.” Eventually, the Tuan Lian would be used to collect taxes for county magistrates, as well. The gentry controlled the Tuan and were eager for them to take on the task of tax collection for the state because they saw great profit opportunities in the form of embezzlement and bribery.